They’re creepy and they’re kooky, mysterious and spooky, they’re altogether ooky, the Trump family. 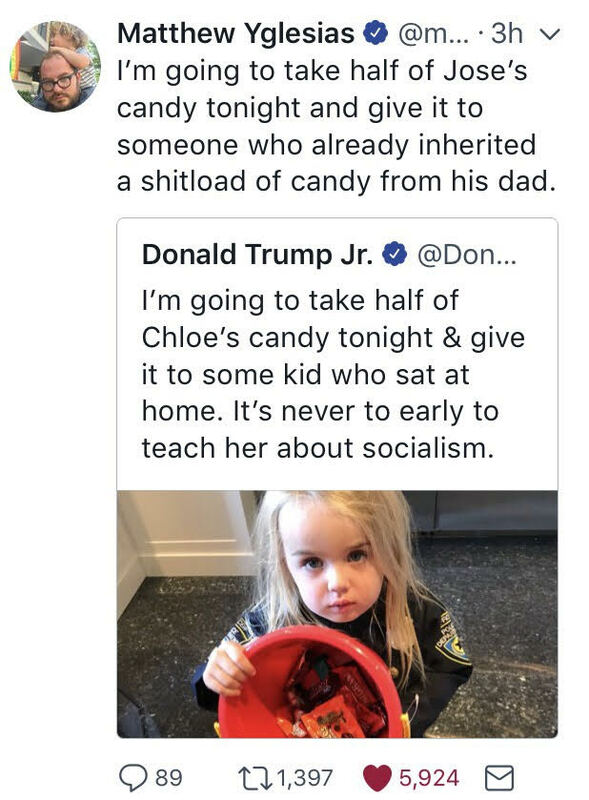 Once again, Don Jr. gives us another example of the amorality that pervades the Trump family with his exploitation of his child not for a harmless campaign photo but for a creepy political tweet. Oddly and unintentionally, he makes the exact opposite of the point intended about crass entitlement. 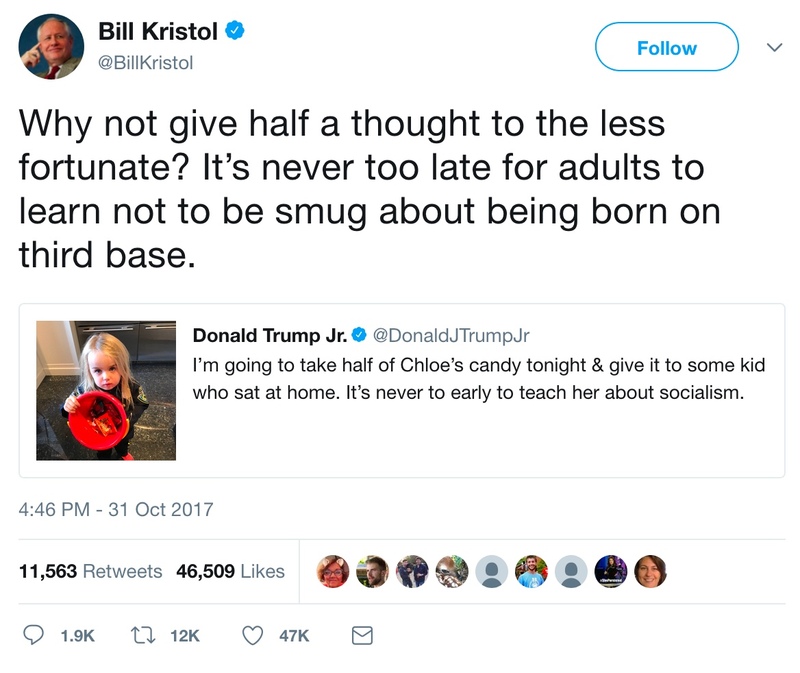 Be sure to check out two excellent replies, one by a liberal and one by a conservative, below the screenshot of the original post. 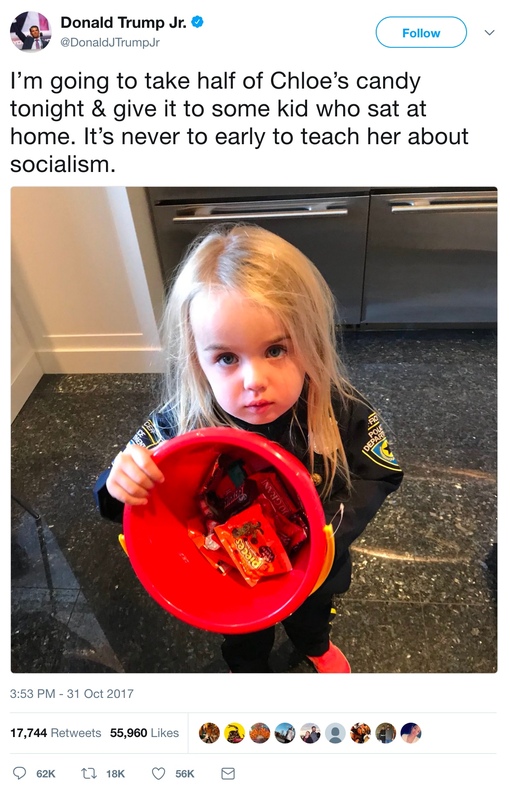 But also remember how virtually the entire Republican Party and its agitprop media supporters are complicit in these daily violations of basic norms of how people, let alone leaders, should behave.